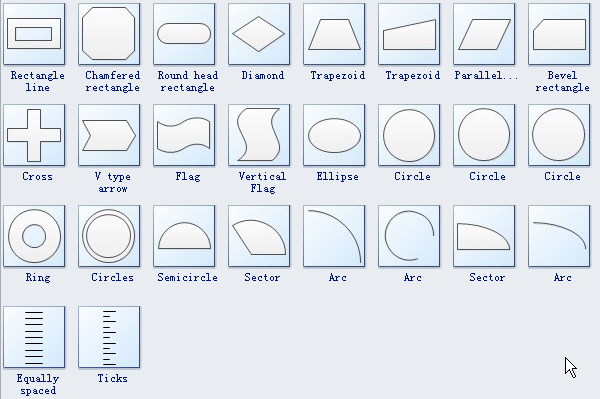 Pre-drawn block 2D diagram symbols represent circle, box, gears, etc. 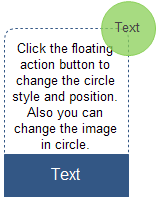 These symbols help create accurate diagrams and documentation. 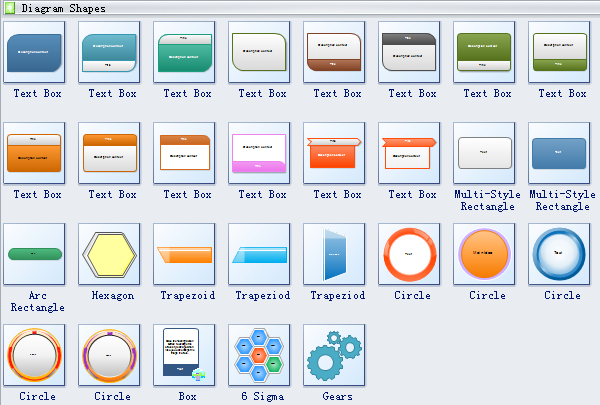 Edraw software provides many special shapes used in the block 2D diagram, text box, multi-style rectangle, arc rectangle, hexagon, trapezoid, circle, box, six sigma, gears, etc. Trapezoid is a quadrilateral with two parallel sides and two non-parallel sides. Gears are toothed wheels that work with others to alter the relation between the speed of a driving mechanism (such as the engine of a vehicle) and the speed of the driven parts (the wheels). The first one is Dynamic Polygon shape. The vertex number can be any one above 2. 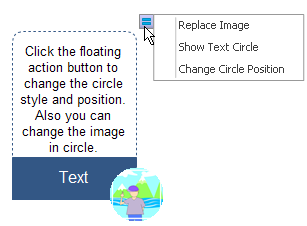 Change it through the following steps. 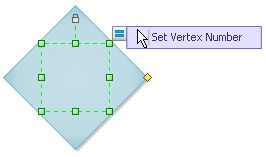 Specify the vertex number in the dialogue box. The shape changes automatically, giving you limitless possibilities. 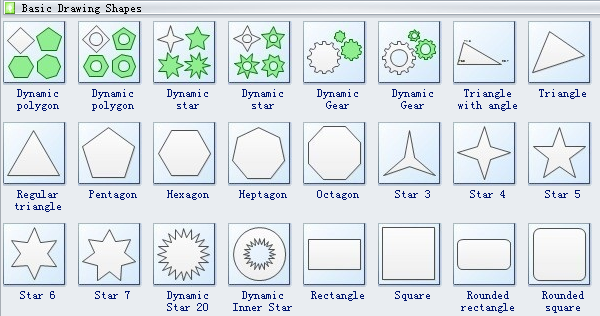 Similarily, Dynamic Star shapes can also be changed into various appearances. The attached yellow diamond handles allow more flexible adjustment of dynamic star shpaps. 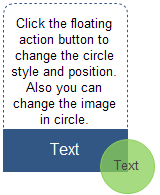 Text Box shapes can be adjusted as follows. The Multi-style Rectangle has three variations. 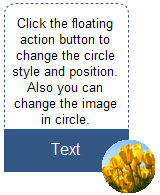 You can use the floating action button to view different styles. 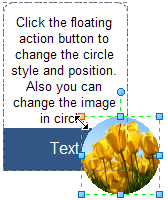 The Box shape is more flexible with a floating action button. 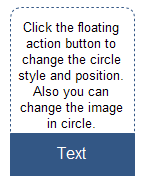 See how you can change it through the floating action button and selection handles. 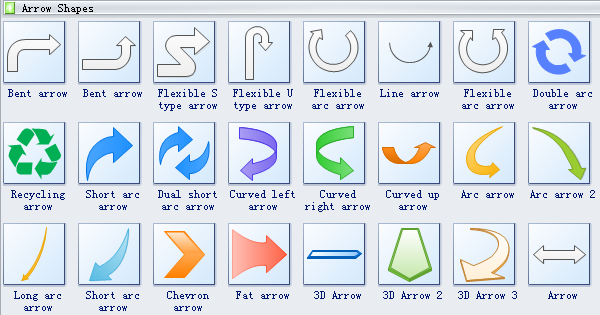 Need fresh looking block 2D diagram symbols for your design? 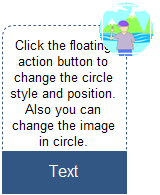 These block 2D diagram symbols are a cinch to pop in. 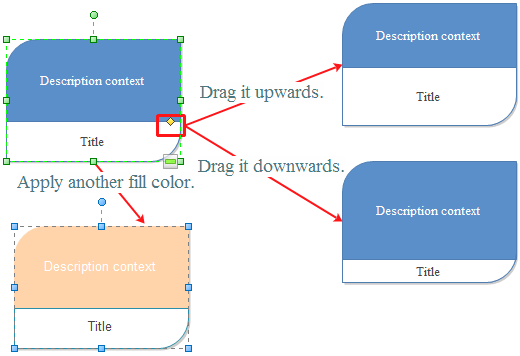 And their crisp, fine detail will make spectacular, easy-to-understand diagrams and presentations to your customers.